A patient Mrs Naseem Begum suffering multiple health issues. 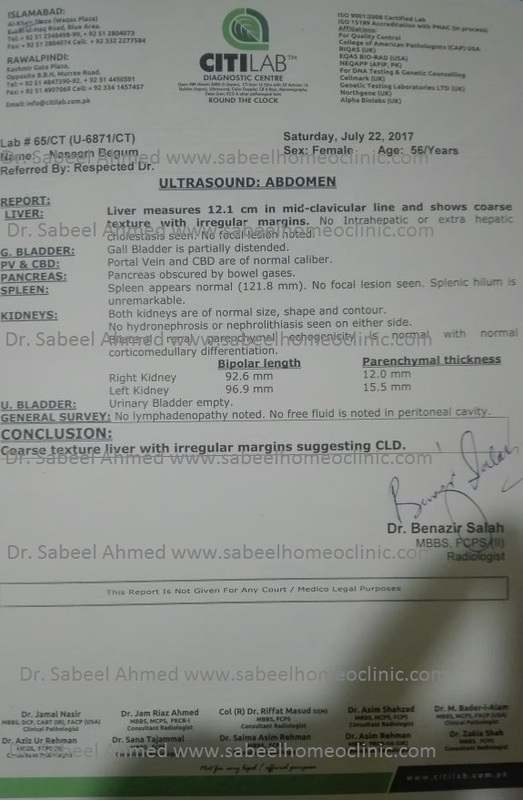 She diagnosed 6.7 mm stone in gallbladder and fibroids as in medical report before homeopathic treatment by Homeopathic Dr. Sabeel Ahmed. 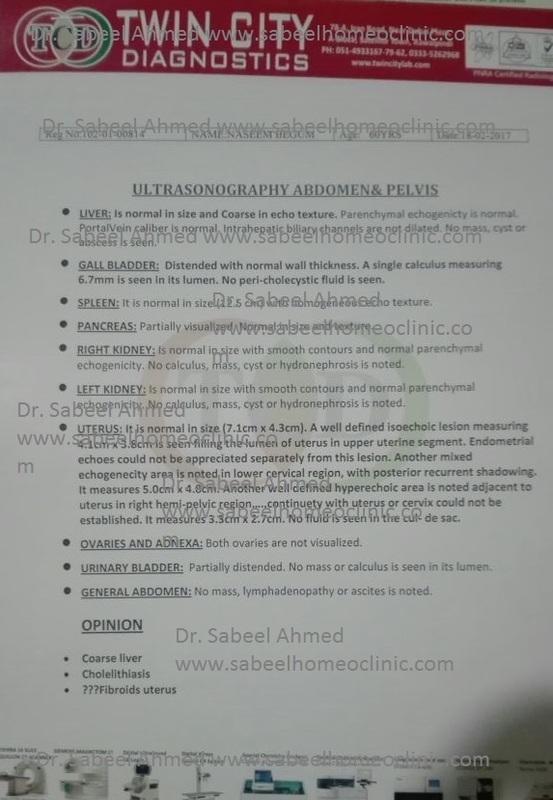 In February 2017 Homeopathic Dr. Sabeel Ahmed advise Abdomen and Pelvis Ultrasound to Mrs Naseem Begum. In report mentioned gallbladder stone and fibroids. After 5 months regular medication, repeat the ultrasound on 22 July, 2017. In this report not show calculus in lumen and gallbladder was clear from any stones. Very good case study. How Can we meet you in your clinic for one of our patients. Dear Dr. Sabeel.